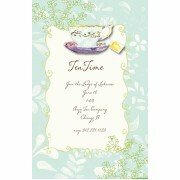 This 5.75" x 8.75" invitation is perfect for a tea, shower, birthday and more. White .. 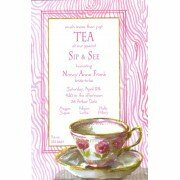 This 5.75" x 8.75" invitation is perfect for a bridal shower, sip and see, luncheon and more. Whi.. 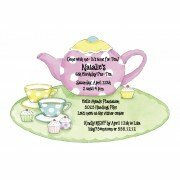 This 5.75" x 8.75" invitation is perfect for a birthday, tea, sip and see and more. 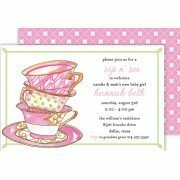 White en..
Includes: Invitations, White Envelopes Card : die cut invitations Processing Time: If ord.. 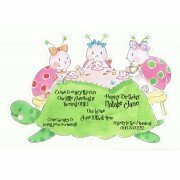 This darling card features three ladybugs on top of a turtle having tea. 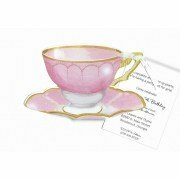 Perfect for birthdays, t.. 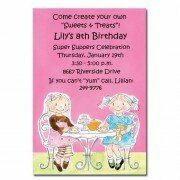 Size: 5" x 7" Includes: Invitations, Envelopes Card Stock: Light Card Stock .. 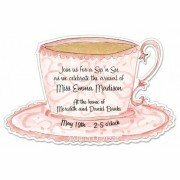 This charming invitation in shape of a pink teacup is perfect for birthdays, .. 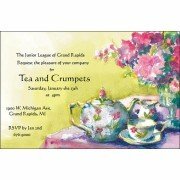 Size: 5.75" x 8.75" Includes: Invitations, White Envelopes Card Stock: Printed on 80 lb. .. 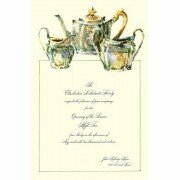 Size: 5.75" x 8.75" Includes: Invitations, White Envelopes Card Stock:&.. 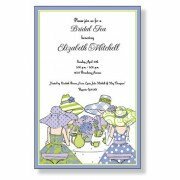 Size: 5.75" x 8.75" Includes: Invitations, Envelopes Card Stock: Printed on pr.. 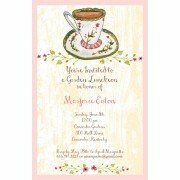 This 5.75" x 8.75" invitation is perfect for a bridal tea, luncheon or shower. White envelopes in..